Once again as in the 12 or so years past, I’ve found my inbox filled with messages from longtime readers who wonder if I’m going to be re-posting “A Bithead’s Christmas”, and begging me to do so. As I believe I’ve told you in previous years, I get more email about this one single post, these 2900 or so words, then I have about anything else written here. And it happens every single year. Either this one post is particularly good, or the rest of it is comparatively bad. You’ll forgive me if in my vanity, I believe the former. I take that they’re using Email, instead of simply leaving comments, to mean that I’ve struck a very personal and private nerve. Touching people in that fashion is a very rare thing, and one I take very seriously, so the answer to the question is “Yes, of course I’ll run it again”. Understand going in, it may not be politically correct. I seek no absolution, no forgiveness, for it’s being overtly Christian in nature, any more than I seek absolution or forgiveness for anything else that I put into these spaces. It is what it is, because Christmas is what it is, and because I speak my mind on the topic at hand, whatever that is. Christmas, and thereby, Christianity itself, has been going on for a little over 2000 years, in spite of all the naysayers, protesters and government regulations that history has managed to toss up in those 2000- plus years. It does so, because at the core of it all, is a message…….. a message that all the naysayers, protesters and government hacks will never understand, much less conquer. It is a message that will survive the ravages of time, government, and liberals, fascists, and anything and everything else, long after you and I are no longer even a memory in this world. The Christmas message, you see, is eternal, and ever green. There is something of a journalistic precedent for this as well. . . 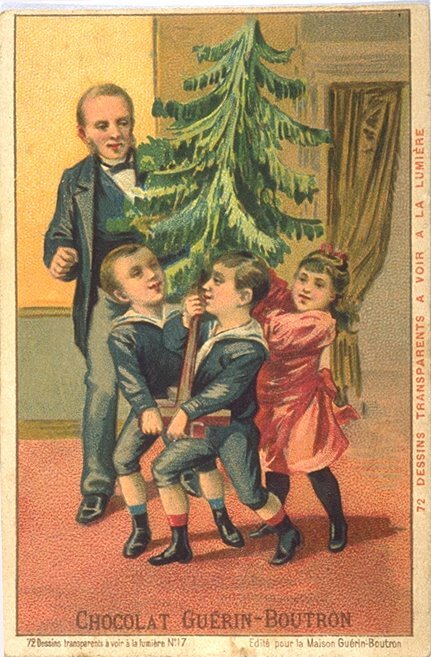 I do not pretend to hold myself quite so high in the world as these media outlets who have such traditions as “Yes, Virginia, there is a Santa Claus”… but they’ve been getting away with such things for well over 100 years, so I suppose I can get away with it, here. One of the things that man has always found fascinating about the Christmas story, is that you can reread it all your life, and every time you reread it, you find a new truth buried within it, so perhaps that’s WHY we get away with repeating such stories. It’s perhaps where such traditions come from. I find myself wanting to take more seriously, the challenge of writing to the subject of Christmas, today, than I have in years past. It’s not clear in my mind as to why, but this isn’t unusual… I never really do have a firm grip on why I want to attack a subject in these spaces. In fact, the writing of a coulmn for me has becomes more an effort of exploring a subject; the codification of random thoughts. The act of putting those thoughts into words on a screen allows me to think about, and RE-think about the subject at hand. My thoughts on a given subject often do not fully take shape until such time as I’ve re-written them twice. Often, indeed… usually, the ideas are already there, waiting to be cast into words, but not fully defined until the act of sitting down and typing them out. I suppose this subject is no exception. To this effort, some blogs, this time of year will quote the great Gospels of Christ’s arrival, and expound on that. And that’s worthy, and right. Some others will take the secular angle of the holiday and go off on that. That too, is fine, though frankly it’s always for me missed the core of the topic, a little. But not me, for either of those tacks. Not this year. I’m going to go off the beaten path, for this post, at least in context of this blog, given it’s Christmas, and off the beaten path in terms of the Liturgical calendar, given it’s me. I’m going to stick with the meaning of Christmas, but to point it up, I’m going to turn to something a little later… about 30 years later… for my subject. I trust you’ll see why when I’m done. This story is in Matthew, Mark, and Luke. We’ll use Luke’s version for the purpose. Now, all three versions add a little something to the story, and I suggest you read them yourself to get it all. 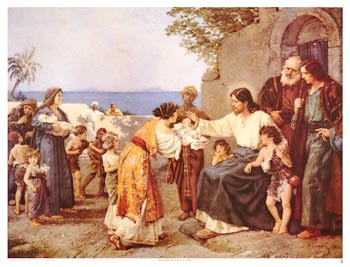 Most times that Christians hear this text or read it, a child is being baptized. The apparently intended thrust of reading it in those situations is to make a loose connection with the Children being accepted by Christ. And, that’s a valid angle for the story. But, think about the story line, here, so you can get the flavor of what I’m going to describe to you. There’s a far bigger angle that many miss. Now, It’s not hard for us to imagine what’s going on in the minds of the disciples…. They must have felt a little put back… While not saying so, they must have figured they had an inside track to Heaven. (Shrug) It’s human nature. But what does he mean, here? He’s talking, I’m afraid, about how you lose touch with happiness and the sense of wonder, as you become an adult. That loss prevents us from seeing the Kingdom of heaven as it is. For most of us, the happiest times of our lives was when we were children. When we’re younger, we have less in the way of cares, and troubles. Let’s admit, too, that as we get older, we become aware of, and allow more and more sadness into our lives. It’s true; It’s a hard world out there, and being adults we’ve come to understand this, in a way of understanding that only long exposure and experience… and lots of scar tissue, can bring. It seems that every year we have more worries and concerns. Oh, yeah, do we EVER worry. We worry about our health, and those concerns increase with advancing age. We worry about our jobs, about our investments, our savings, about the future in general. Retirement is a concern. Will we have enough? We’re too fat, we’re too skinny. We’re too tall, we’re too short, our once wavy hair is still waving… Only, it’s waving bye-bye. We worry about the future our kids will have and the normal growing up problems, but we also worry about the future that we’ve left our kids. We look at the news, and we wonder what kind of a world have we left them? We even worry if we worry too much. We’ve seen marriages and relationships we thought would pass the test of time, pass away, instead. Things we had hoped would come to pass, didn’t, and those we’d not dreamed, in our wildest nightmares would happen, did. We see loved ones die. Jobs disappear. Hearts get broken. And friends, those are just the hum-drum... The everyday worries that every generation has had, since Cain bopped his brother’s bean with a rock. Then you get into the problems particular to us and our times; AIDS, oil shortages, cancer, drugs, the way our own technology seems to be spiraling out of our control… And Islamofacists. Ah, yes, there’s nothing at all, to my mind, like the specter of 3000 plus people dying on national television, in Washington, NY and Pennsylvania… while we watch, to remind us that we’re not in control. And yes…. it’s all about control, if you think on it for long. All these things I’ve listed are worries about things we cannot control, try as we might. The list of these reverses, these scars, gets longer as the years progress, and it starts eventually, to break down the positive outlook in every one of us… Each according to their ability to resist. Each step, each worry, each bit of emotional scar tissue, if you will, moves us farther away from the relative joy of our comparatively carefree childhood. By now the sharper among you will notice where I’m going with this; This is where Christmas comes in. This is why Christmas holds a special place in our hearts, and our traditions. You see, even for the not-so-religious, it is a time of renewal of our fragile human spirit. All of the hurts, small and large, become less pronounced, and fade under the soft glow of the lights, the candles, the fireplace, and the smile of the children. Of course, we move away from that ability as we grow older. Our long experience has hardened us to the realities of the world around us, and perhaps jaded our point of view. But here comes Christmas, which gives us, individually and collectively, the chance of looking at the world through the wonder-filled eyes of a child once again… Becoming childlike ourselves in the process, and becoming healed and renewed. You’re NOT in control of much of anything. Someone who knows better, and is by far more powerful than we, is running things. And looking back, I’m sure most of us would conclude that having that situation back would be of comfort to us. Haven’t we all wished to resign from the world of adulthood at times? I guess this would be a good place to slip in a parallel story. 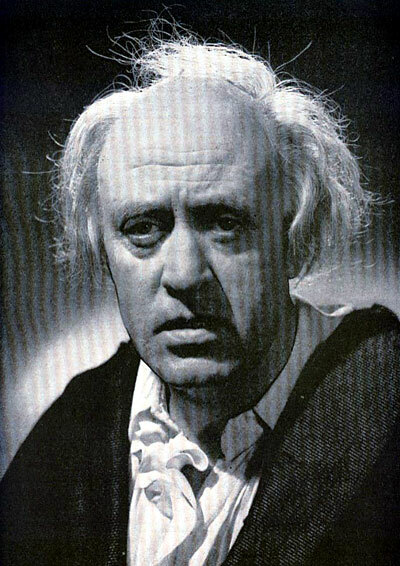 Consider the fictional person of Ebeneezer Scrooge. Think about how the story develops; He’s had some serious emotional setbacks in early life… and those have become a self-feeding, never ending circle by the time we meet him, 7 years after his best friend’s death. I’m reliably informed that Charles Dickens was not as a rule what one would call very religious. Yet, in looking at the parallels in these two story lines, I must wonder in all honesty if he didn’t have some help with “A Christmas Carol”. Now, you’ll notice I took some liberty with the way the Biblical text was quoted. Some liberty, I say, but not very much, really, since it’s long been pointed out by Bible scholars that the word that earlier versions of the text had as ‘change’ were really translated from the ancient Greek word for “transform”. This is a major point, because it demonstrates what the first step is, and whose it is… yours. If I take a rock, and in the other h and I take a large hammer, and I hit the rock with the hammer, and break it, I’ve changed that rock. If I take that same rock, and take a small hammer and chisel, and very carefully, perhaps over a period of decades, sculpt that rock into a flower, I’ve still merely changed that rock. Transformation, on the other hand, is when the rock itself, as a matter of responding to it’s own will, becomes a flower. And of course that’s beyond the normal power of the rock, by any standard we know. What Christ therefore is saying is, that we must become children, as of a matter of our own will. Which is, as I say, impossible by any standard we know…. Which in turn leads us to the source of all things, who teaches us how, and gives us the power to do it. You see, the externalities I mentioned, the lights, the fire, the children…and that which Dickens writes of… the giving, the being open to what joys are around us, and so on, helps toward the goal of understanding the Christmas promise, but it’s not the whole deal. At the core of it all… (and this is a connection that, alas, many people never make…) is that the one whose birth is being celebrated every December the 25th, is the one who takes over that long list of worries. But understand, here…THAT’S WHY WE CELEBRATE!! With those worries removed, lives get changed, hearts mended, child-like perspectives restored in a way that the lights, carols and greenery can never do on their own. And the newly remade Children find that t he authority and responsibility and all the ponderous weight connected with them, are taken away by the one who said “All authority in heaven and on earth has been given to me”. Now, I must warn you; There are those who will resist being told all of this… to the point of removing such joy as they find, wherever they may find it, often using the power of governments, and force of arms to have it removed from town squares and schools, mocking, persecuting and yes, even killing those responsible for the spreading of the news of this miracle. It’s a sad truth, that a world used to darkness, you see, will continually fight to see the darkness continued. That warning given, however, I will say to you also, that it’s no accident, Christmas being called the season of light, and that Christ is called the light of the world. 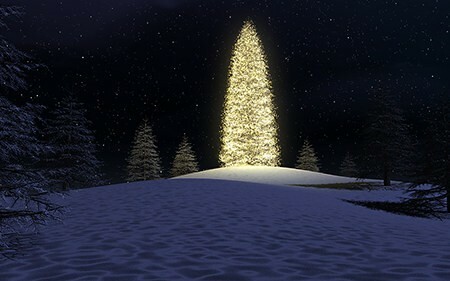 If I have one wish for this Christmas, it is that you will be open to the light…. With the wondering eyes of a child.